Have you ever watched “My neighbor Totoro”?? I cannot think of Totoro without singing this song in my mind. Hmm, I just love this song and this movie!! I think there may be nobody who doesn’t love this film once you watch it. You know that the famous film director Akira Kurosawa loved it and he even counted it as one of his favorite films. According to a survey, this film is the most popular film in all the Studio Ghibli‘s products. 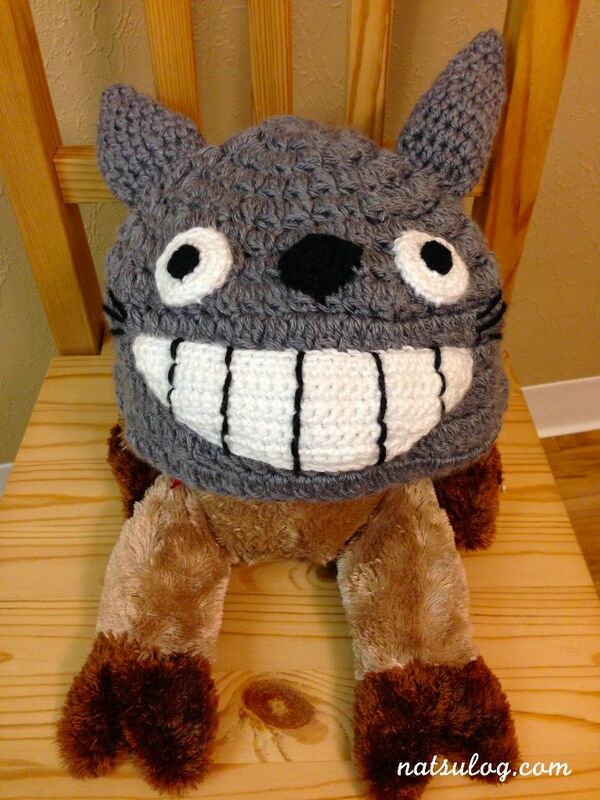 I’ve made this Totoro beanie to fit on me. So, when it comes to my stuffed cow… oops, he looks like he’s got a completely new face :p Do you think my little boy still looks nice like this?? 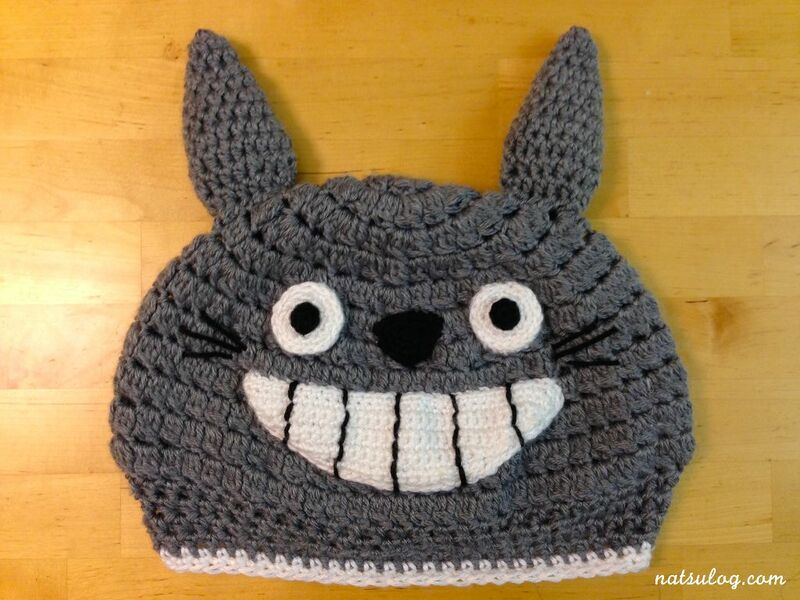 Here is Totoro on my head… and he’s staring at you…!! Wow, he is a bit scary…!! Be something unique and keep smiling!!! That will influence people around you, and then, everybody will start smiling and you all will be happy together♡ If you find it difficult to smile always, then why don’t you put this beanie on you? Totoro will smile to the others instead of you 🙂 I hope our lives will be full of smily faces and full of happiness! !